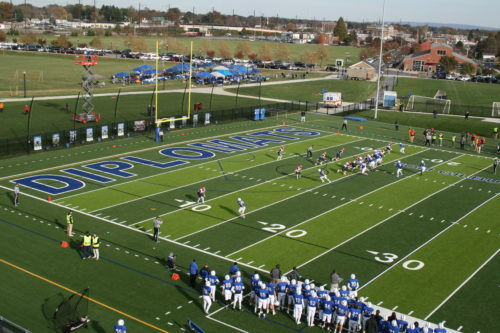 U.S. Green Building Council (USGBC) Central Pennsylvania recently honored Franklin & Marshall College’s Shadek Stadium with its 2018 Innovative Project, New Construction award. The project team, which included JMT, was recognized at the organization’s 2018 Forever Green ceremony and dinner on Nov. 1. JMT provided detailed design, specifications, and construction oversight of the new multi-purpose field, including the field’s base course, drainage system, surfacing, and infill placement during the duration of the project. USGBC’s Forever Green ceremony celebrates the people and projects that advance sustainable buildings, such as green schools, historic preservation, renewable and efficient energy, and sustainable development.